As the principal investigator for the Extreme Ultraviolet Variability Experiment, or EVE, instrument aboard NASA's Solar Dynamics Observatory, he's all too familiar with the ways that exposure to the harsh space environment can lead to a spacecraft instrument's degradation. "Since its launch in 2010, EVE's sensitivity has degraded by about 70 percent at some wavelengths," Woods said. But all is not lost: To correct for the effects of degradation, Woods uses calibration sounding rockets. 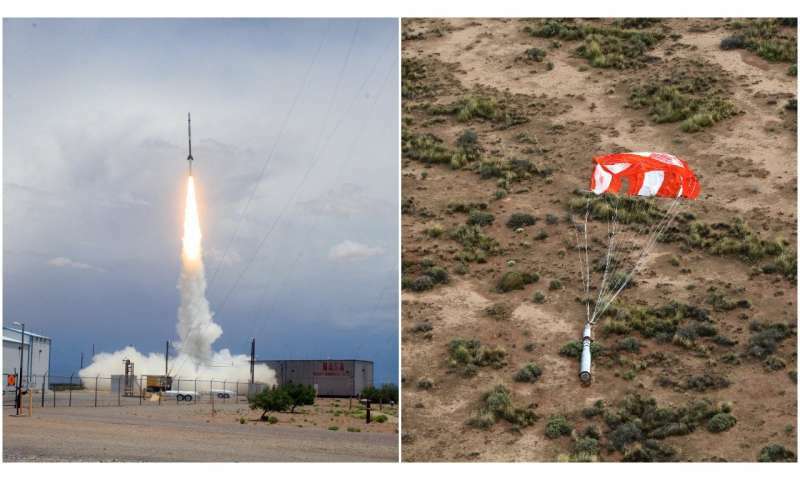 The seventh such rocket will launch from the White Sands Missile Range in White Sands, New Mexico. The launch window opens at 1 p.m. MT on June 18, 2018. "That's why the sounding rockets are so important—they're like a second channel, to calibrate the channel that is seeing the Sun all the time." The EVE sounding rockets are a critical part of the mission. "Without the calibration, EVE wouldn't be able to do its job," Woods continued. "We really wouldn't know what the brightness of the Sun is, because we wouldn't know how much the instrument has degraded." Measurements from the EVE sounding rocket are used to calibrate extreme ultraviolet instruments aboard several other spacecrafts, including NASA's Thermosphere Ionosphere Mesosphere Energetics and Dynamics (TIMED); Solar Radiation and Climate Experiment (SORCE); Solar Terrestrial Relations Observatory (STEREO); ESA (the European Space Agency) and NASA's Solar and Heliospheric Observatory; the National Oceanic and Atmospheric Administration and NASA's Geostationary Operational Environmental Satellite (GOES) Program; and the Japan Aerospace Exploration Agency and NASA's Hinode. Thanks to calibration sounding rockets like EVE we can keep our space instruments working at full capacity—and through them, keep our eyes continuously on the skies.